When it comes to picture books, studying and celebrating the past can only improve our efforts. One way to do this is exploring the creative interactions between author and editor. If you haven’t read DEAR GENIUS: THE LETTERS OF URSULA NORDSTROM do it soon. If you have no idea who Ursula Nordstrom was find this collection of her letters immediately. Collected and edited by Leonard Marcus, this volume of Nordstrom’s letters shares the evolution of countless books, authors and illustrators during her years as head of Harper children’s books. Want to read how she wasn’t sure HAROLD AND THE PURPLE CRAYON would make a successful book? Go to page 83. If you think long-in-print books like DANNY AND THE DINOSAUR were written in a single draft think again, and read page 103. Read page 198 and discover that A BIRTHDAY FOR FRANCES was originally titled TELEVISION FOR FRANCES and went through many revisions. From GOODNIGHT MOON to THE CARROT SEED to WHERE THE WILD THINGS ARE to FROG AND TOAD ARE FRIENDS and beyond, Ursula Nordstrom was encouraging, challenging, and celebrating her authors. 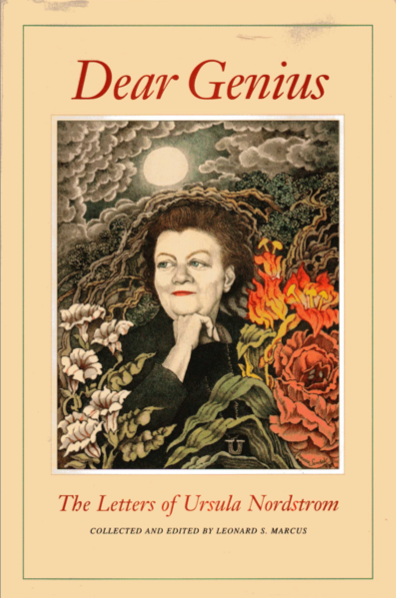 DEAR GENIUS: THE LETTERS OF URSULA NORDSTROM collected and edited by Leonard S. Marcus. HarperCollins, 1998. How we tell a story is a part of that story. And, this HOW includes awareness of pace and rhythm. Composers have names for the different paces and rhythms they use. Adagio-slowly. Scherzo-vigorous & playful. Allegro-brisk tempo. Dolente-sorrowfully. The choice of notes, whether those notes are long or short, and in major or minor key is HOW the composer creates the music. The two MP3 files below each contain the rhythm or beats of a different manuscript. After listening to each, ask yourself what type of action might be going on in the text. What is the mood or the emotions of the text? The next MP3 will share the titles and words for the same passages. Most people are surprised at how much they knew about the story from the beats alone. It is always beneficial to read aloud what one has written. Try tapping out the beats and rhythm of your manuscript. Do they support and enhance your text like a good movie soundtrack? Do they distract? Or are they simply of no consequence? Once you’ve heard the results your next draft will only improve. After all, if you’re writing a picture book, you are writing to be heard. 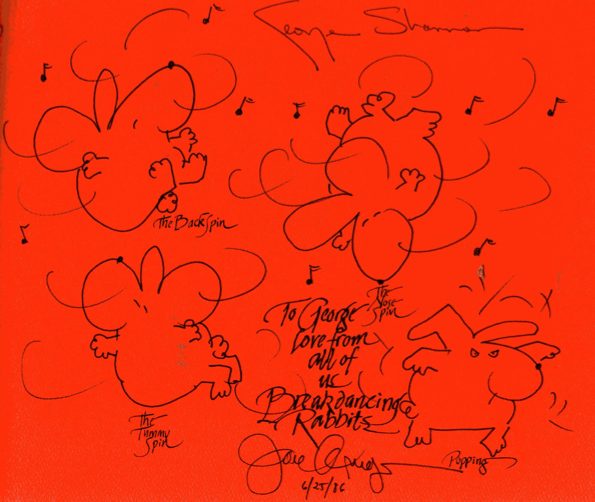 DANCE AWAY by George Shannon. Illus. by Aruego & Dewey. Greenwillow, 1982. 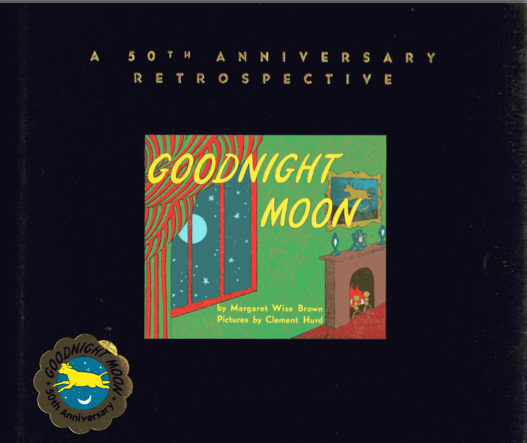 GOODNIGHT MOON by Margaret Wise Brown. Illus. by Clement Hurd. Harper, 1947. No one questions that the picture book, like film, is a blending of word and image. Yet most discussions of the genre treat the picture book as if it were a silent movie. Content and image are discussed, but little or no attention is paid to sound. Words and sentences are content and sound. The writer’s use of sound can make the difference between merely sharing information and sharing the emotional experience of a story. People are forever aghast when they learn picture book writers don’t get to choose their illustrators or tell them what to draw. They almost pity us for having no control. But, if we writers do our best to evoke as well as report, we have far more input than most people suspect. How? By writing with attention to the sound and shape of our sentences and pacing. In doing this, we provide our editor and illustrator with an emotional experience—a valuable map toward the visual extension of the text. We will have also written a better picture book.